Were you in Melaka this morning? Well, guess who decided to make a surprise visit to the historic city? 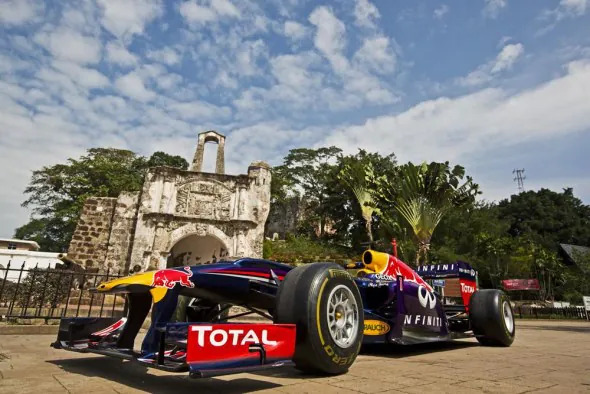 Yup, it’s the Infiniti Red Bull Racing F1 car for this season – the RB9 – right there on the streets of Melaka. Meanwhile, don’t forget you still have time to participate in our Red Bull Blue & Silver contest which offers tons of Red Bull Racing merchandises to grab as well as grandstand tickets to the Malaysia F1 GP this weekend. But don’t wait too long because the clock is ticking fast!